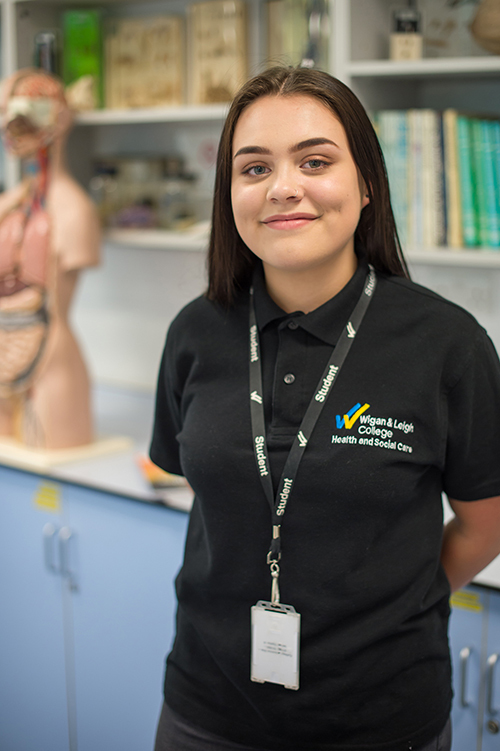 Wigan & Leigh College has a long standing history in providing you with quality education and training.This has been achieved through exceptional teaching, support and guidance over an extensive range of academic, vocational and apprenticeship courses. Each year we strive to provide programmes at a wide range of levels to suit all abilities. Recently a multi-million pound investment has been made across our Wigan and Leigh Centres to provide you with top of the range facilities, resources and learning environments. One thing is guaranteed when you choose to study with us - we will encourage and support you to achieve your full potential. 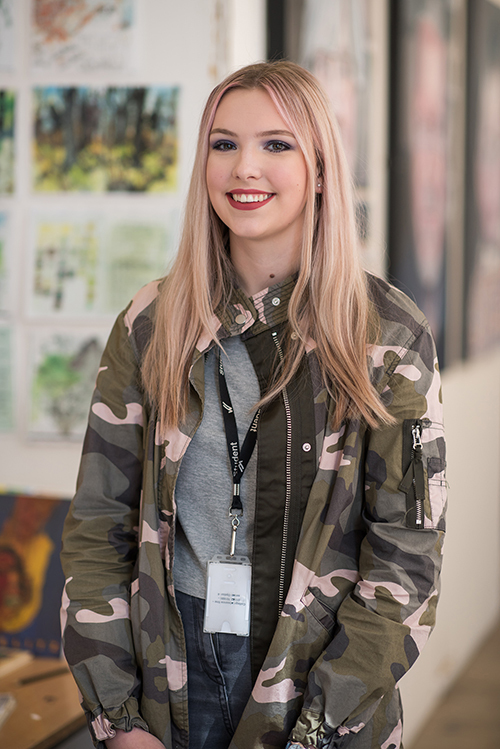 We are offering you the opportunity to combine traditional academic study (A Levels) with professional qualifications and valuable work experience within our unique A Level Professional Honours Programme. In addition to your academic study, you will also take part in a series of guest speaker lectures and prestigous visits which will further develop your skills and experiences to ensure you secure a place at one of the country's top universities or with a prestigious employer. Animal related careers can be extremely rewarding and exciting. An integral part of our Animal Management courses is valuable and stimulating work experience for our students as one of our partner animal centres. 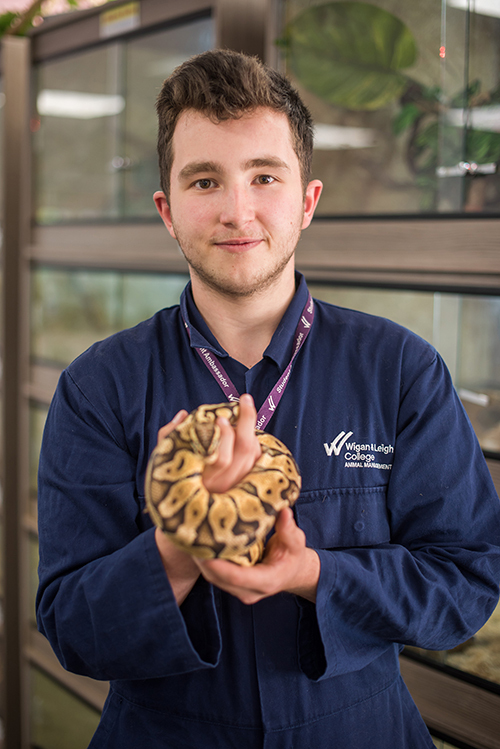 The exceptional animal management classrooms are home to over 20 different species of reptiles and rodents. The rooms are fully equipped to provide students with hands on experience of caring for and managing animals. There is also purpose built dog kennels and a large dog grooming suite. The School for the Arts is home to our Centre of Excellence for Art & Design. 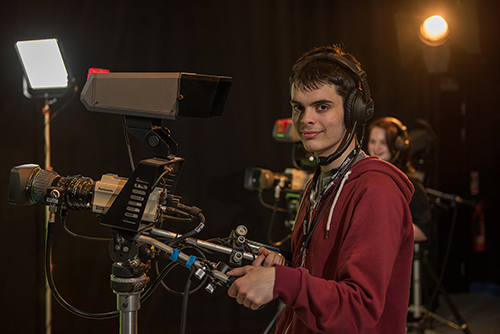 The school offers creative and talented students the very best facilities including dedicated production and studio-based classrooms. There is a wide-range of creative courses to choose from for aspiring artists, graphic designers, photographers, fashion designers, games designers, set designers and textile designers. Students gain real work experience on real live industry briefs and showcase their work in exhibitions, fashion shows and competitions along with extensive visits to events and galleries. The Wheel Restaurant is an award winning restaurant where catering & hospitality students showcase their culinary dishes, created in the state-of-the-art kitchen facilities. 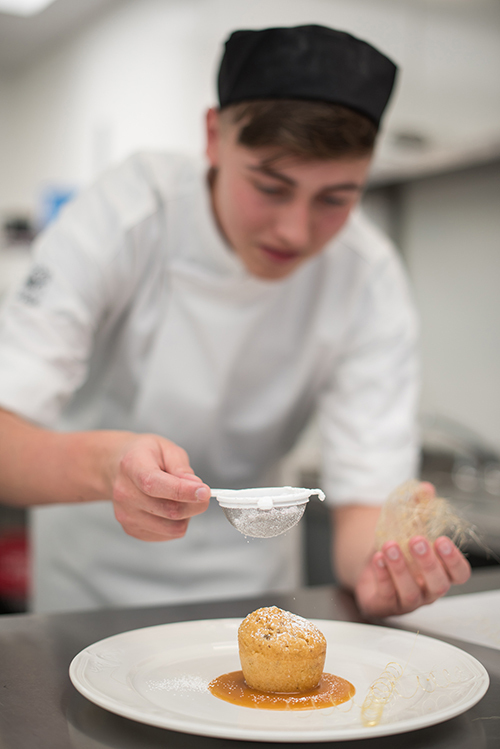 Our student's success is testament to their passion for the industry; real hands on work experience; fantastic facilities and expert tuition that they benefit from here at the College. 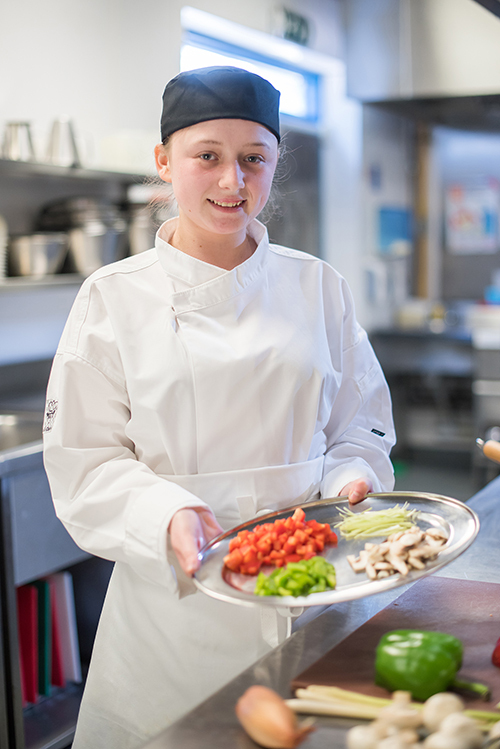 That is why students who choose one of our inspiring catering courses at Levels 2 and 3 achieve 100% pass rate each year. When it comes to beauty the Image Centre is top of its game. We have an exceptional reputation for equipping students with the skills and knowledge to work at a national and international level. Students choosing to study beauty therapy will benefit from the state-of-the-art facilities where real work experience is gained. Students will benefit from highly experienced and qualified tutors who have strong links with industry professionals to provide quality work experience and training on the latest techniques and products. The Image Centre is at the forefront of the "Wellness" industry and has a strong ethos of responsible futures". Students will gain knowledge of sustainable beauty and conscious cosmetology through the exclusive "Potion Shop" product range. The Construction industry offers careers in a wide-range of trades including brickwork, carpentry & joinery, painting and decorating, plastering and plumbing. 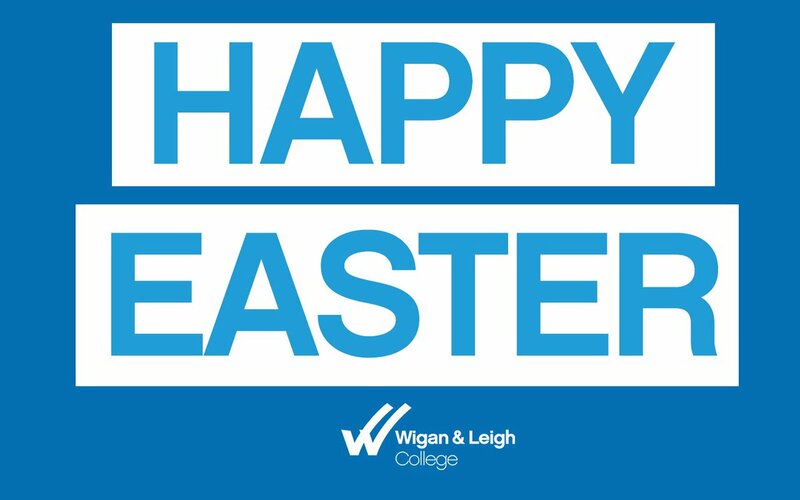 Students studying at Wigan & Leigh College will benefit from some of the regions very best purpose built facilities and workshops in which to master their trade. Each trade has its own workshops within the Centre for Engineering & Construction at our Pagefield Campus. Our tutors are experts in their trade and have years of valuable experience. 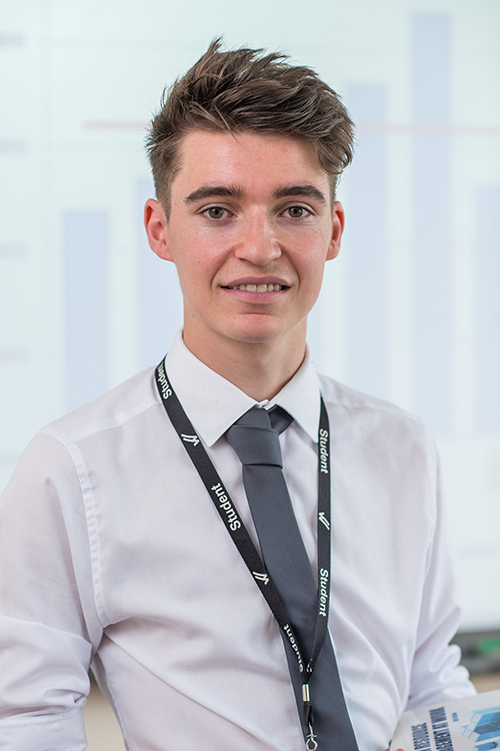 The College has extensive links with local and national employers offering opportunities for high quality work experience. Business students at the College will learn about the dynamic world of business. Students will develop skills and knowledge to equip them to become a confident decision maker in a cutting-edge, professional environment. Our courses will allow you to explore the range of diverse departments that work together to form a successful business. Students will benefit from the industry experience of our expert tutors who will teach you the principles of marketing, accounting, human resources and business environment & resources. Whatever your ambition these courses will prepare you for university level study or to begin your career in the commercial world. The Wheel Restaurant is an award winning restaurant where catering & hospitality students showcase their culinary dishes, created in the state-of-the-art kitchen facilities. 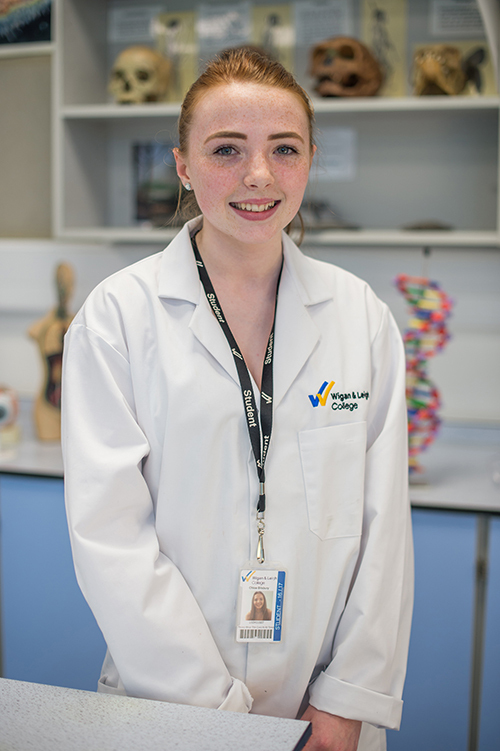 Our student's success is testimony to their passion for the industry; real hands on work experience; fantastic facilities and expert tuition that they benefit from here at Wigan & Leigh College. That is why students who choose one of our inspiring catering courses at Levels 2 and 3 achieve 100% pass rate each year. Working with infants and young children can offer a range of rewarding and exciting careers. Our childcare qualifications are designed to prepare students to work with children between birth and five years, with knowledge of children up to seven years. Students will benefit from high quality work placements with local nurseries and primary schools. Computing and IT is a dynamic industry where innovation is paramount.  That is why we have invested in the very best software, industry standard hardware and state-of-the-art multimedia and web development Mac suite. There are so many computing careers to choose from; that is why our course content is constantly reviewed to reflect the fast past of industry demand. 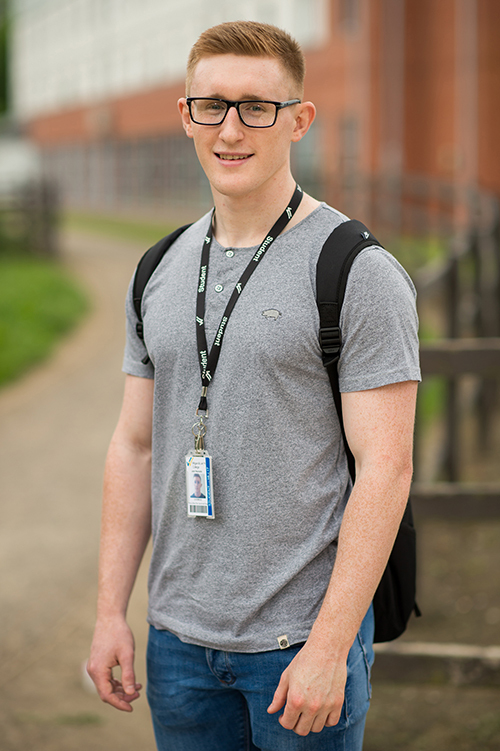 Students at Level 3 have a 100% pass rate. 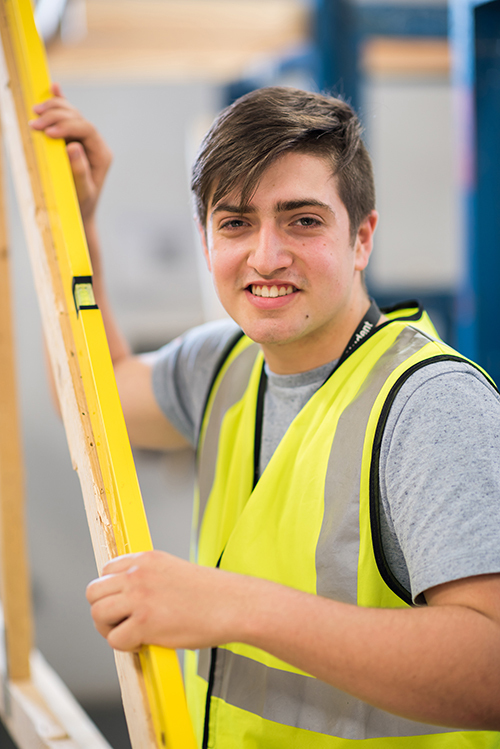 The Construction industry offers careers in a wide-range of trades including brickwork, carpentry & joinery, painting and decorating, plastering and plumbing. Students studying at the College will benefit from some of the regions very best purpose built facilities and workshops in which to master their trade. Each trade has its own workshops within the Centre for Engineering & Construction at our Pagefield Campus. Our tutors are experts in their trade and have years of valuable experience. 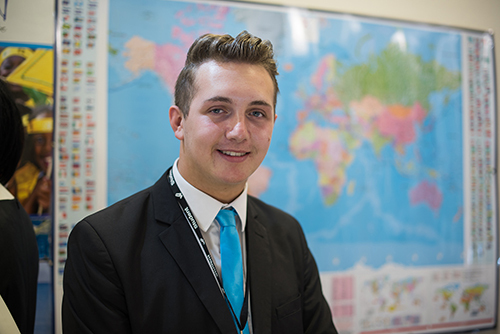 The College has extensive links with local and national employers offering opportunities for high quality work experience. There are many rewarding and diverse career opportunities within the civil engineering sector. The sector is responsible for the design, construction and maintenance of roads, bridges, building, canals and damns. If you are an aspiring Architect, Surveyor or Civil Engineer our courses will provide you with the skills to progress into this fast paced industry. The Government has declared 2018 the Year of Engineering and engineers are in high demand across the UK.The engineering sector reports evidence of skills shortages for employers in key UK engineering sectors including aerospace, telecoms, rail, power, nuclear, chemical, civil and defence. Over 2.85 million engineering jobs will need filling by 2024 and the average starting salaries for engineering and technology graduates are well above the average at £25,800. 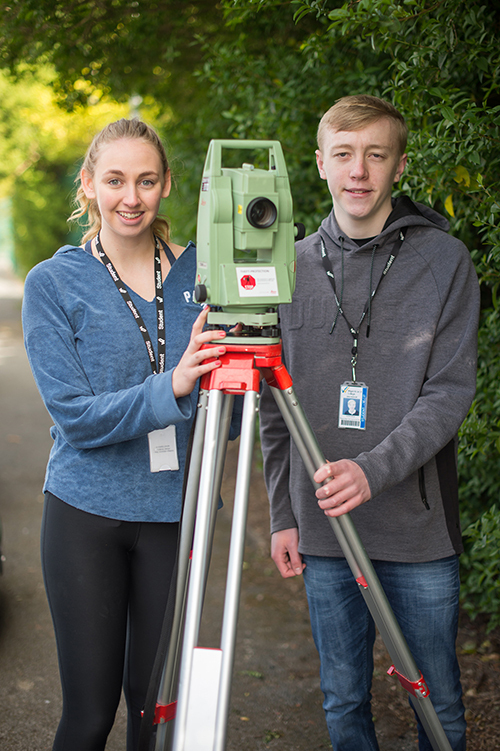 The College has a long-standing history and reputation for providing excellence in engineering and manufacturing and is committed to training highly skilled engineers of the future. 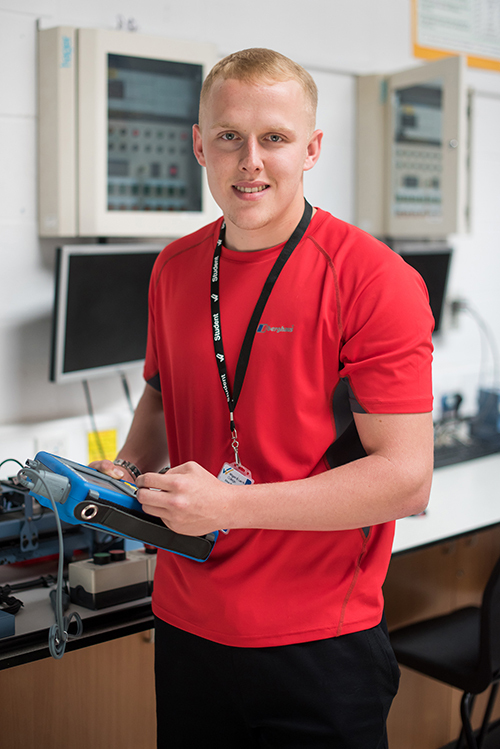 The College specialises in intelligent engineering including mechatronics, robotics, automation and autonomous vehicles, as well as the development and evolution of hybrid technologies. 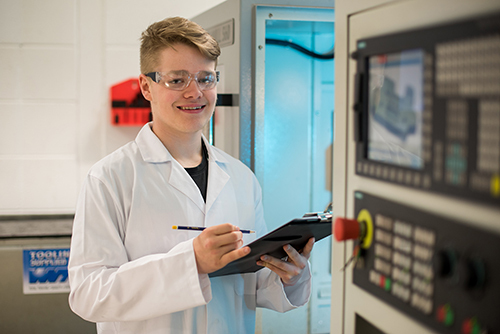 The Centre has had significant investment of £1.4m to ensure that future engineers develop technical skills and knowledge using the latest equipment and technologies which include a CNC Milling Machine, CNC Plasma Cutter and Thermo Fluid Bench and Bernoullis Principle Test equipment. Electrical and Electronic Engineers can work in a diverse range of sectors including aerospace, broadcasting, telecoms, manufacturing, power and utilities. Our excellent courses prepare students for higher education and employment. Our expert tutors are highly qualified and have a wealth of experience from British Gas, Atomic Energy and Network Rail. 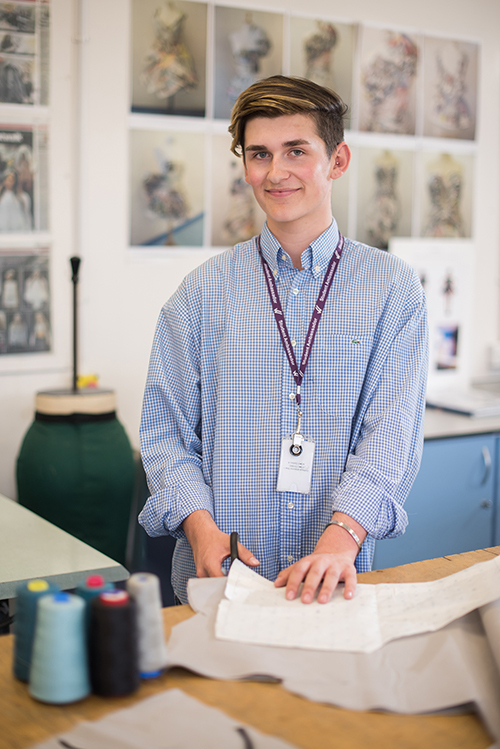 Develop your flair for fashion & textiles at our Centre of Excellence for Creative Arts. Here you will study in large purpose built studios where you will learn how to design and create your own fashion ideas and styles. You will gain hands on experience of using industry standard machinery and explore a range of fabrics and garment construction techniques. Our expert tutors all have industry experience and will support you through your programme. The Floristry and horticulture department has a flourishing reputation and is becoming one of the finest education providers in the country. Floristry students develop their artistic display skills and floral knowledge in the dedicated workshops. Horticulture students will gain hands-on experience in one of our purpose built polytunnels and work on real horticultural projects. Our Entry Level courses provide students with a great foundation to progress on to the next level course. Students will benefit from an exceptional range of support services and students will be assessed on their own individual needs. Learn how to transform your creative ideas into visual and textual context at our Centre of Excellence for Creative Arts. Students on our Graphic Design courses use the latest technology in our Mac Suite to develop their skills and knowledge and work on live briefs provided by employers. You will produce and showcase your work in the end of year Art Exhibition. 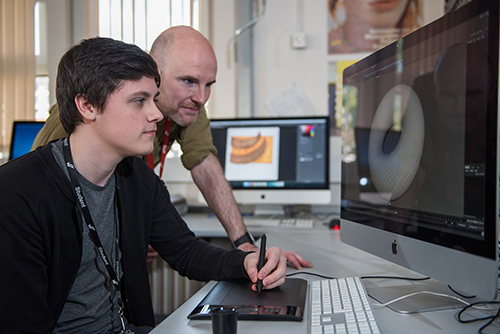 90% of our Level 3 students progress onto university to study a range of creative degree level programmes. The Image Centre is a contemporary working salon that offers students an exceptional environment in which to develop their skills. Our tutors are highly experienced and have great links with industry professionals to provide students with quality work experience. 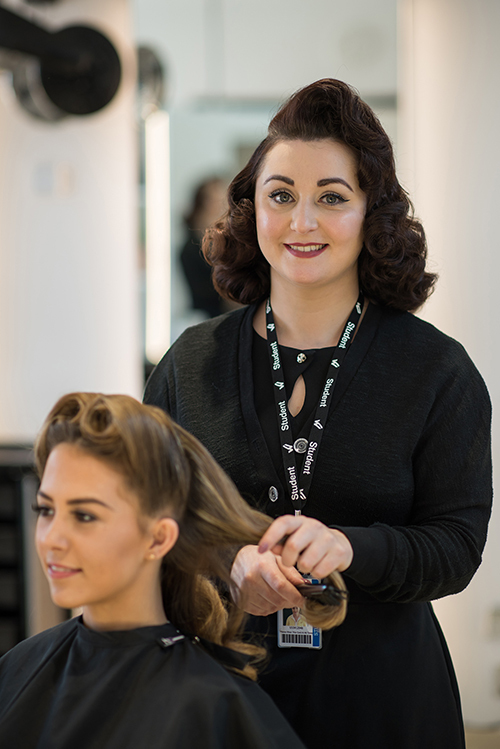 Students will master the latest cutting, colouring and creative styling techniques. The Centre of Excellence for Health & Social Care is an exceptional learning facility for aspiring health & social care workers. We have a brand new extended clinical ward with real working equipment, beds and facilities to simulate a hospital environment. 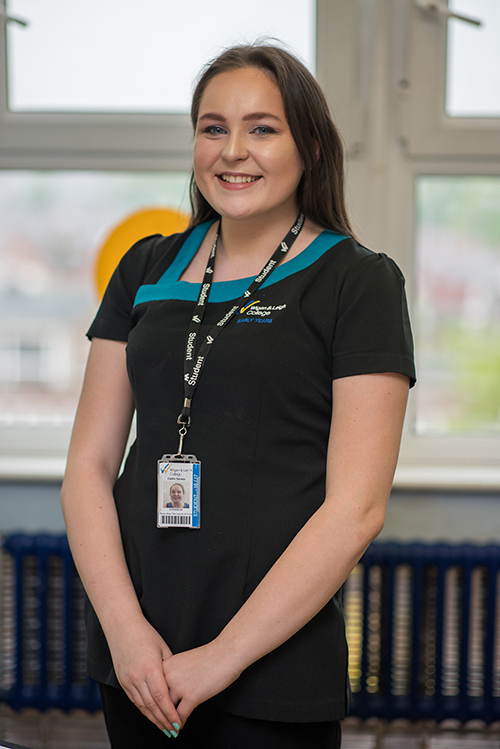 Our highly trained tutors have all enjoyed great career in the sector have great links with the NHS and private care providers; ensuring our students receive high quality work placements. Students with a passion for engines will benefit from the fully equipped purpose built eutomotive engineering workshop. The workshops are installed with industry standard equipment including: 4 & 2 poster ramp, a simulated MOT bay, break testing and diagnostic testing equipment. The music industry offers a wide-range of careers for talented performers, writers and producers. Our professional tutors currently work in the music industry and have great links with industry experts. 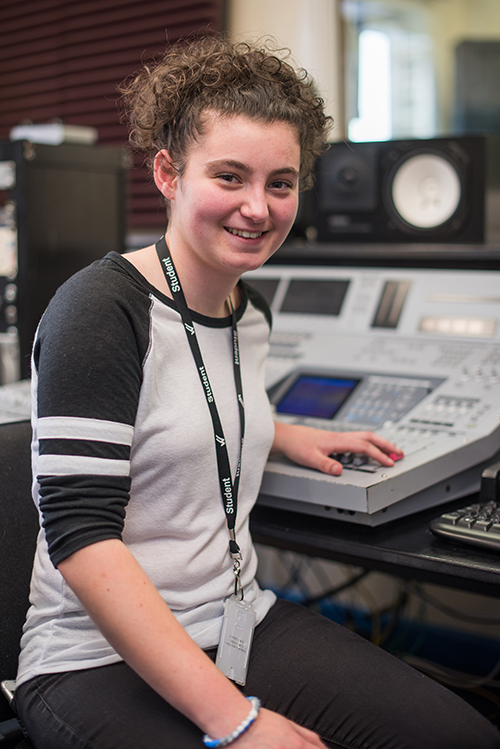 Students will develop their skills in our purpose built practice rooms, recording studios Mac and PC suites equipped with both Logic Pro and CuBase. The School for the Arts offers exceptional facilities for ambitious performers including the purpose built Saidy Theatre and three sprung floor dance studios. 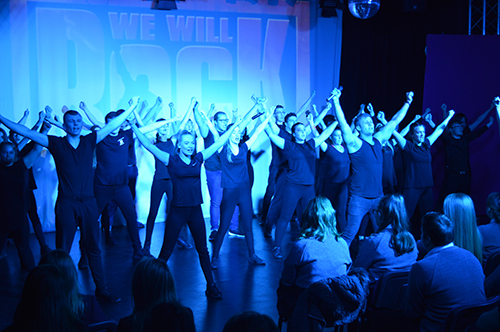 Students will develop their performance skills and knowledge to become confident and accomplished artists through a variety of shows and plays. We will work with you on a career plan and explore the range of university level courses and employment opportunities available to you. 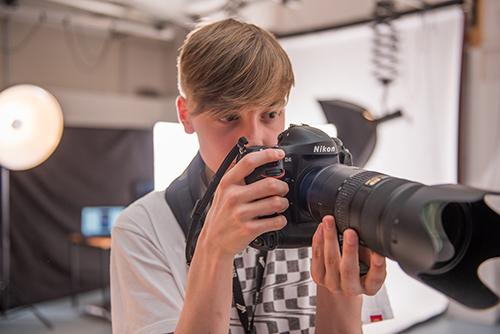 The Centre of Excellence for Creative Arts offers Photography students the very best studio facilities and dark room to capture and develop their images. Students will learn how to use digital and traditional methods of photography using a variety of subjects. 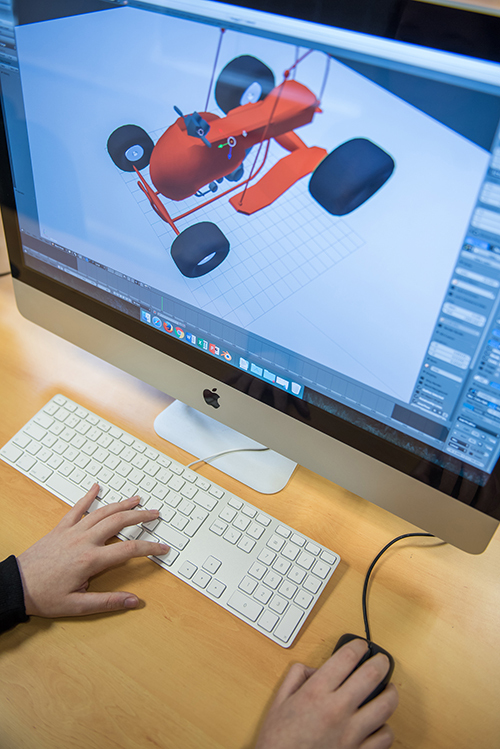 Students will develop their skills using state of the art Macs and adobe editing suite. Our expert tutors have extensive experience working in the world of photography and innovative and interactive digital media. Our Public Services courses develop the physical and academic skills required for successful careers in the Police, Fire and Rescue, Prison Services and Armed Forces. 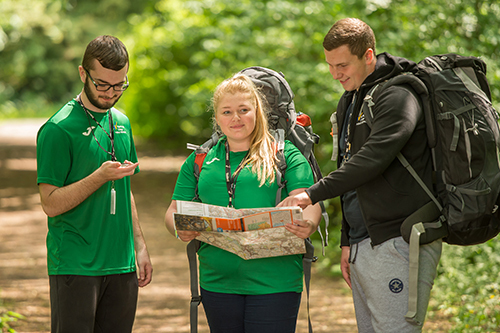 Students benefit from the College's great links with the public services and gain real physical and problem solving experience on a residential programmes with the Army. Science is brought to life in our outstanding, newly refurbished laboratories. Our Science programmes equip students with the skills and knowledge to enter a variety of science related careers and degrees. 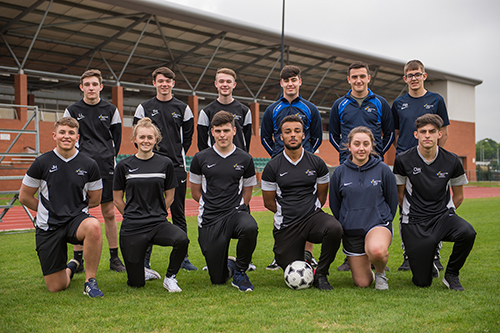 The College is a Centre of Excellence in Sport, dedicated to providing exceptional training programmes for the region's aspiring sports professionals. Our world-class facilities include a swimming pool, gymnasium, athletics stadium, 3G AstroTurf pitches and indoor sports hall. Around 371,800 people work in the sport industry in 176,000 businesses throughout the UK. Careers are many and varied, from sporting professionals, to personal trainers, coaches and sports scientists. The typical salary for senior coaches, employed by National Governing Bodies or professional sports clubs, ranges from £30,000 to £35,000.  Exercise physiologists employed in the sports sector may earn between £18,000 and £35,000. And for those in high-profile sport science, salaries can exceed £60,000 and may reach up to £100,000. The Travel & Tourism courses are taught by highly experienced professionals who have extensive experience working in the aviation, tourism and hospitality sector. Our courses prepare students for careers in this fast paced industry where high standards of customer service are expected. Courses range from Level 2 up to Higher National Diploma Level.